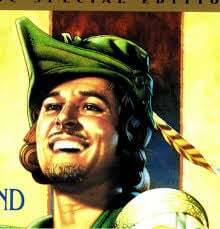 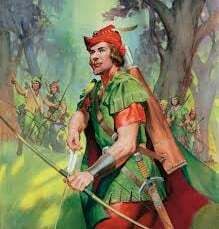 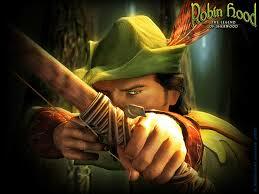 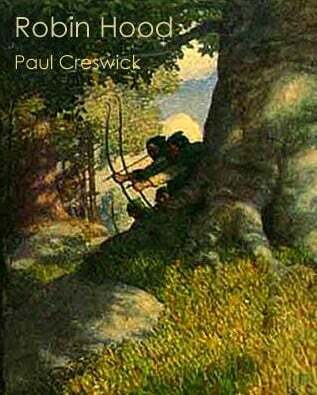 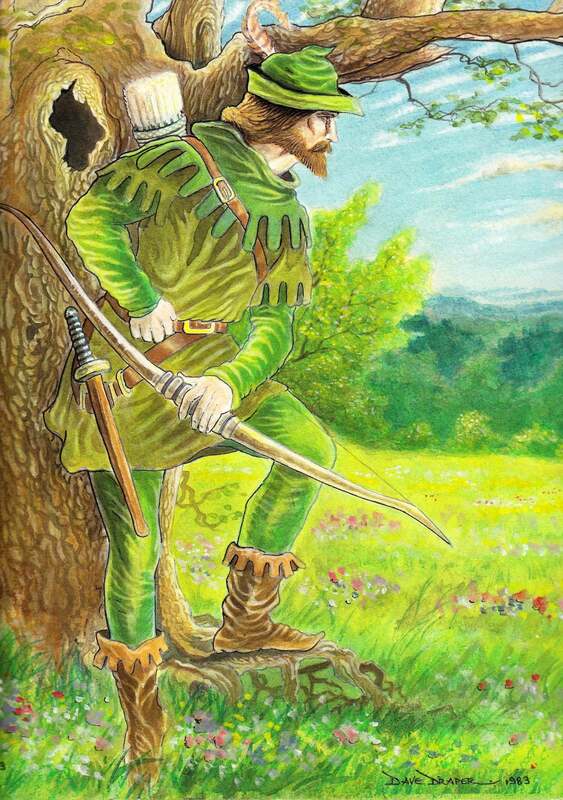 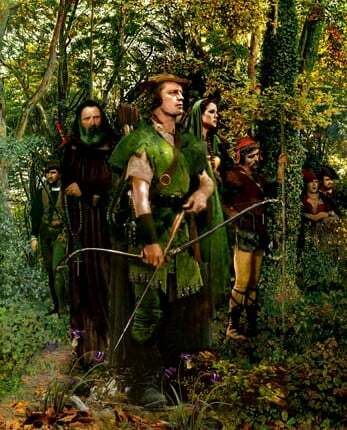 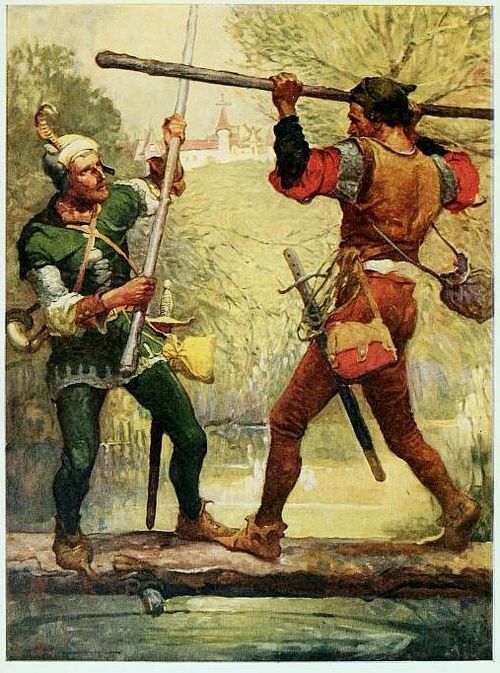 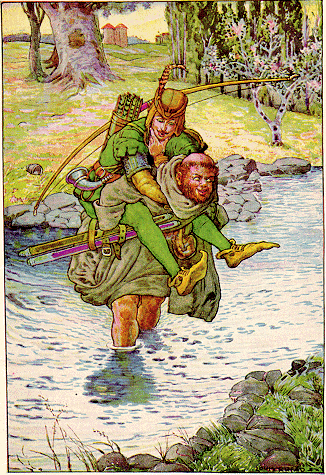 This entry, titled Robin Hood, is a cropped detail of a larger, invented illustration that I did in 1983. Painted in acrylic watercolours; the image retains its original fresh, bright colouring and sunny disposition, the emerald pasturage and luxuriant woodland foliage captured on a midsummer’s day of unadulterated sunshine. 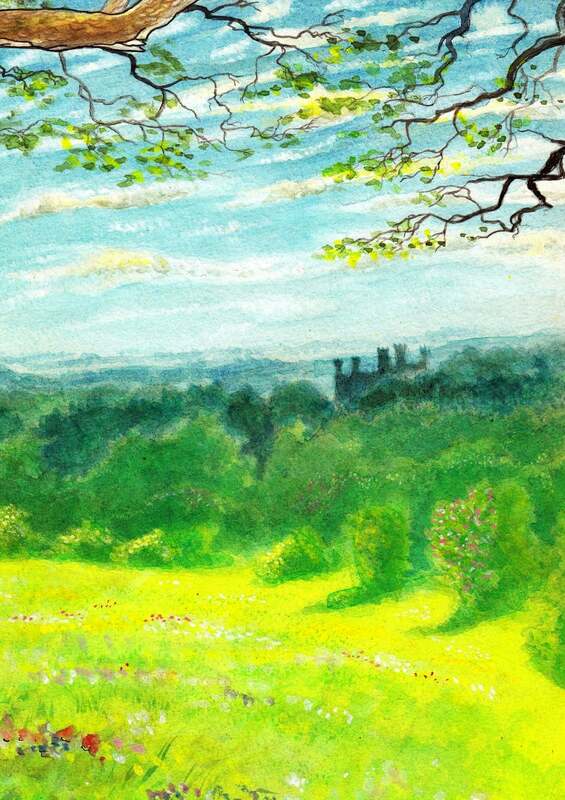 There is a separate entry taken from a postcard sized photograph of the complete illustration showing a different tonal version of this image with the colouring muted in a more misty representation, as if on a dull and overcast day or with the sun temporarily obscured behind a drifting cloud. It bears the title: Outlaw of Sherwood. 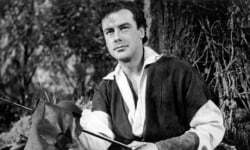 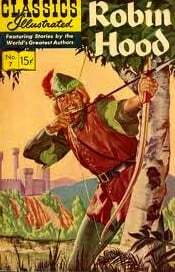 The landscape shown here is an imaginary Heart of England forested landscape, with my own mid 20th century commercially-biased portrayal of the legendary outlaw. 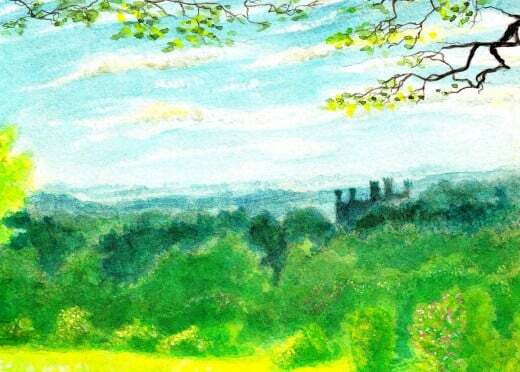 To the far right, the Sheriff’s castle shown in silhouette is surveyed from the cover of a stout old English oak. The last two images shown in the accompanying slideshow: Castle View and Castle Landscape View, are part of this illustration and have been cropped as separate Detail entities. 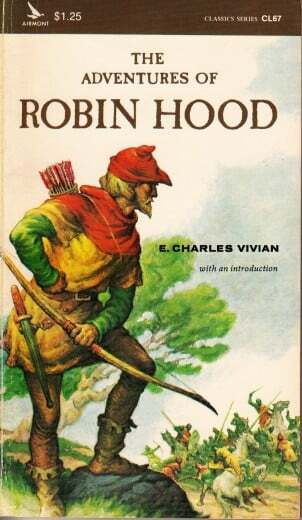 The pose of the outlaw is taken from a figure on the cover of a paperback published by Airmont Classics [ISBN 0-8049-0067-1] It is undated, but it was around the late 1970s or early 1980s that I first noticed and purchased it, so whether it was first issued then or reissued from an earlier time, I have no idea. 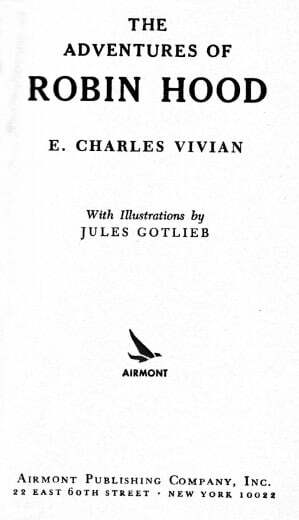 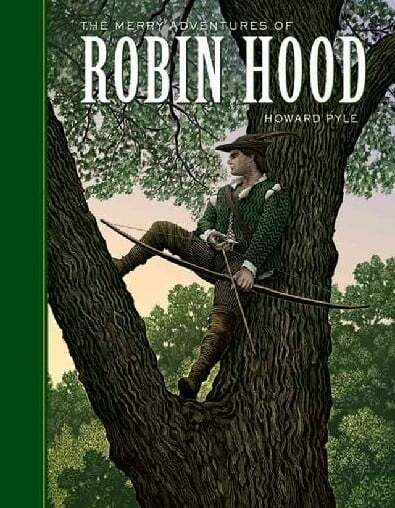 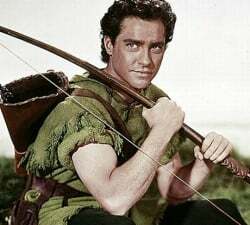 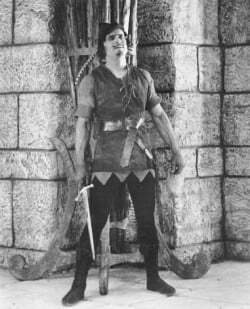 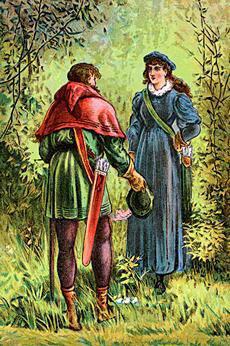 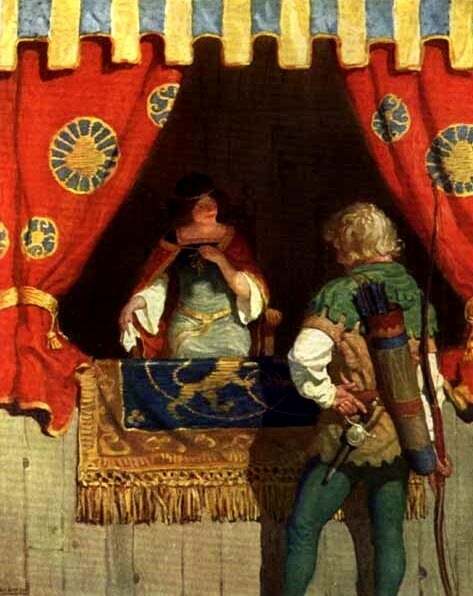 It is titled: ‘The Adventures of Robin Hood by E. Charles Vivian’, with illustrations by Jules Gotlieb. 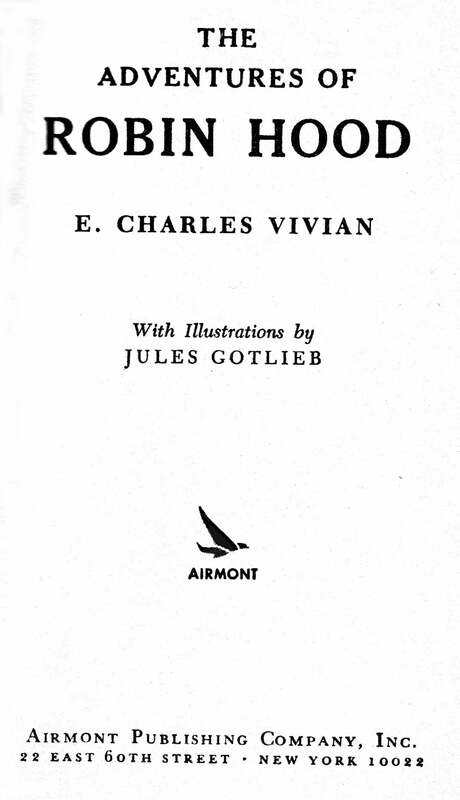 It is shown here and is first in the slideshow, directly below the featured image. 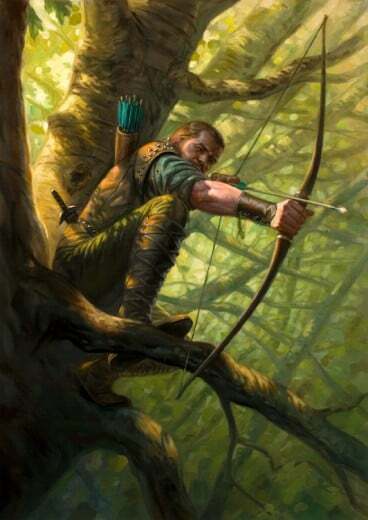 As previously mentioned, the outlaw’s appearance in the featured image is my personal preference. 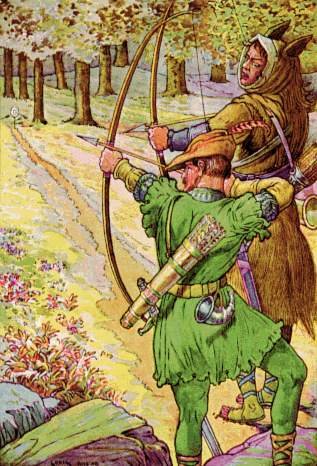 The landscape and colour-scheme in this representation are all entirely my own style and creation: from the misty silhouetted castle on the far right and the characteristic embossed bark scales and owl-peephole in the hollowed out old oak, to the pastel-hued flowers around the outlaw’s leather-booted feet.